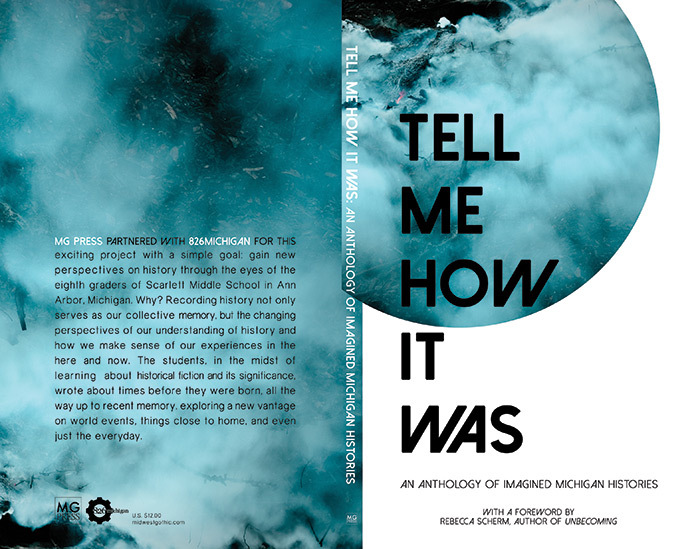 We’re absolutely thrilled to announce our latest book from MG Press, Tell Me How It Was: An Anthology of Imagined Michigan Histories. Created in partnership with the non-profit writing center 826michigan, this historical fiction anthology features the work of the eight-grade writers at Scarlett Middle School in Ann Arbor, Michigan, as they explore new perspectives on history through fiction. The book will be released on March 21, 2015—available through all our usual sales channels—and we’ll also be hosting a release party at this year’s Voices of the Middle West festival that very day at 12:30 PM. So stop by if you can!